Harry Wayne Casey was born on the 31st January 1951, in Hialeah, Florida USA, and is of Italian and Irish descent. 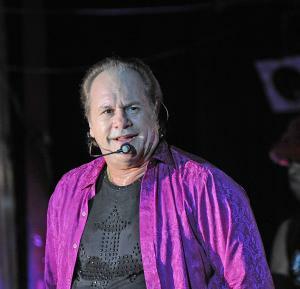 He is a musician best known to the world as the founder of the band KC and the Sunshine Band, with which he has released a number of studio albums, but he also had a successful career as a solo artist, spawning hit songs like “That`s The Way (I Like It), “(Shake, Shake, Shake) Shake Your Booty”, and “Give It Up”, among others, all of which increased Harry`s net worth and popularity. His career has been active since the early 1970s. Have you ever wondered how rich Harry Wayne Casey is, as of mid- 2016? According to authoritative sources, it has been estimated that Casey`s net worth is as high as $15 million. Apart from his successful career as a part of the band, he has also written and produced songs for other artists, including Teri DeSario and George McCrae. Harry grew up in the Greater Miami area; his love for music came at an early age, as he firstly fell in love with the sound of the organ when he attended church with his parents. As he grew older his interest intensified, and his parents signed him up for piano lessons. After finishing high school education, Harry enrolled at Miami-Dade Junior College, but wasn`t much interested in education. Instead, he went to work in a drugstore, and later in a record store, where he met and befriended employees of Tone Distributors and its subsidiary label, TK Records. On account of this new found friendship, Harry was invited to the TK recording studio, and began to hang around the studio more often, until the president of TK Records, Henry Stone, gave Harry a job as a sweeper, and also packing records for shipment. At TK he met Richard Finch, record producer and bassist, with whom he started KC and the Sunshine Band. Their first recordings together included songs such as “Blow Your Whistle” and “Sound Your Funky Horn”, which came out as singles. Their debut self-titled album was released in 1975, which reached No. 1 on the US R&B chart, and achieved triple platinum status, increasing Harry`s net worth to a large degree. They continued successfully throughout the 1970s, releasing albums “Part 3” (1976), “Who Do Ya (Love)” (1978), and “Do You Wanna Go Party” (1979), all of which achieved at least platinum status, which only increased further Casey`s net worth. The 1980s were rough for Casey, as the band`s popularity was in decline, and he was in a car accident which left him paralyzed, and he needed to re-learn how to walk and play piano as well. The Sunshine Band was also disbanded, as he and Finch had several arguments. Nevertheless, Casey return to the industry in the 1990s, reforming the group with new members, and since then has released three albums, however, they have been nowhere near as successful as in the 1970s. Casey and the band released their last studio album in 2007, entitled “Yummy”, but to low critical acclaim. Regarding his personal life, there is no information about Harry in the media, assuming the fact that his career has kept him busy, and more importantly, satisfied. 1 Brother of Savina Barnsley. 2 Grew up in Atlanta, Georgia. 3 KC & The Sunshine Band were awarded a Star on the Hollywood Walk of Fame for Recording at 7080 Hollywood Boulevard in Hollywood, California. 4 Co-host, with Danielle Bisutti, of an infomercial for TimeLife's "Disco Fever" music collection .